According to a recent update to the Steam database, Telltale may be preparing to release a new DLC pack for The Walking Dead. The new database entry is titled “Walking Dead 400 Days DLC.” Telltale has been uploading a variety of teaser clips to Vine recently, entitled Day 2, Day 220, Day 184, and Day 246. These fall in line with the concept of 400 Days which may be referring to the amount of time since the zombie outbreak occurred. Even though a second season of Telltale’s The Walking Dead is planned for release sometime later this year, it isn’t clear whether or not 400 Days will be a part of it. 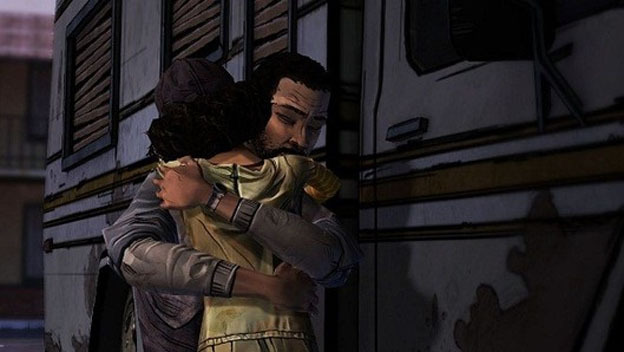 Series writer Gary Whitta said that we might see new Walking Dead content from Telltale before season 2 comes out shortly after season 1 finished. Telltale’s E3 Exhibitor page also listed The Walking Dead Season One DLC as a something that they would be showing at E3 this year. So the evidence for a new DLC chapter of Season 1 is piling up.